My budgie is a male and his name is Charlie he is so cute and he loves playing on his swing and he loves his cage. Charlie is 4 months old, he is tame and sits on my finger. I bought him in Benalla for 20 dollars. 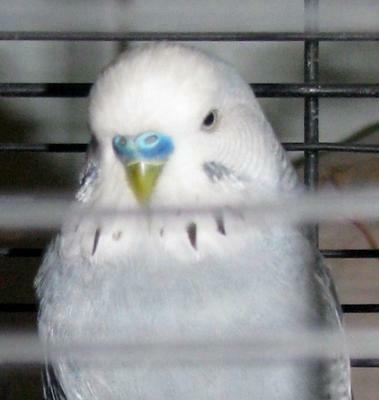 hi im sally i have three budgies and i am breeding them one of my female budgies has laid eggs and they will hatch in 16 weeks and i am soooooooooooo exited. i have two females and one male their names are tom brittany and georgia. georgia is the one who laid the eggs and she laid 3 eggs. i will get back to you when the eggs hatch. Im rosie I am 9 years old and he is cute.